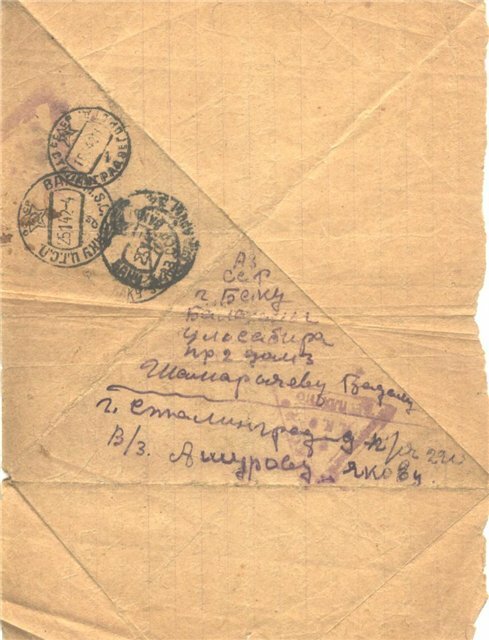 “Concerning the first picture: what a strange way of folding letters!” – writes Effe in his comment to yesterday’s post on contemporary Soviet still life photos. 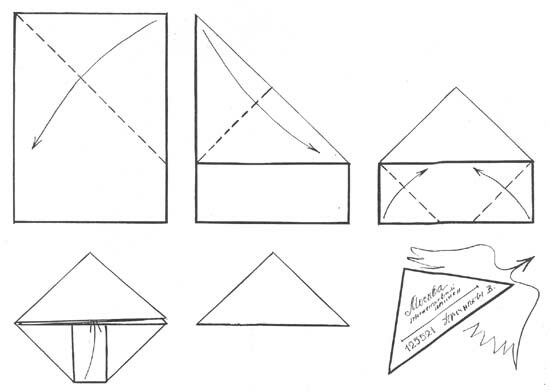 And indeed, already the diamond grid of the folding of the letter on the edge of the table is unusual, but even more unusual is the triangular shape of the letters laying behind it, on the folder. 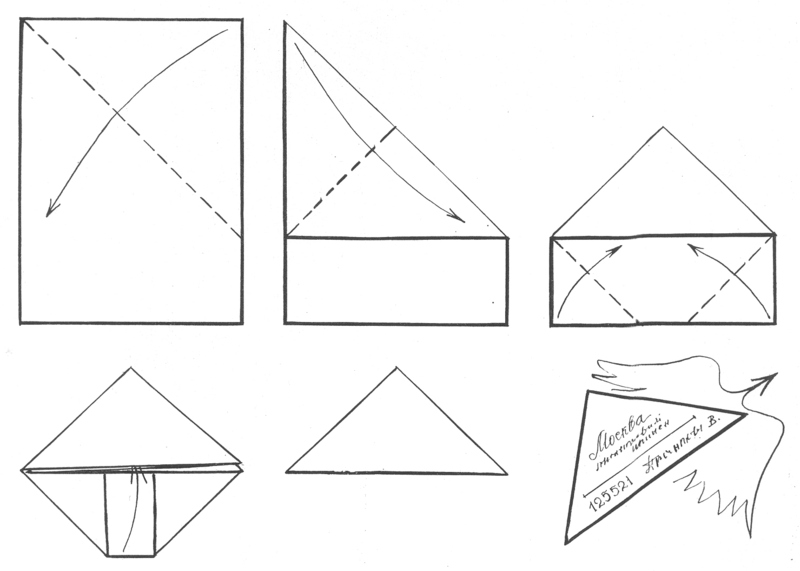 However, there was a time when this folding was not considered unusual at all, moreover the mails folded in this way were the most valuable the postman could bring; and, as the story unfolding from the few objects on the picture indicates, for several people they remained more valuable than any other a postman can bring them any more. 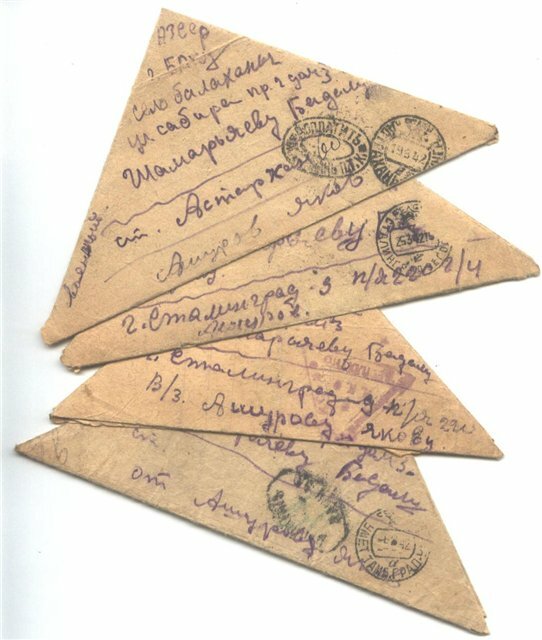 These are the письма-треугольники, the “triangular letters”, the standard form of soldiers’ correspondence during the Great Patriotic War. 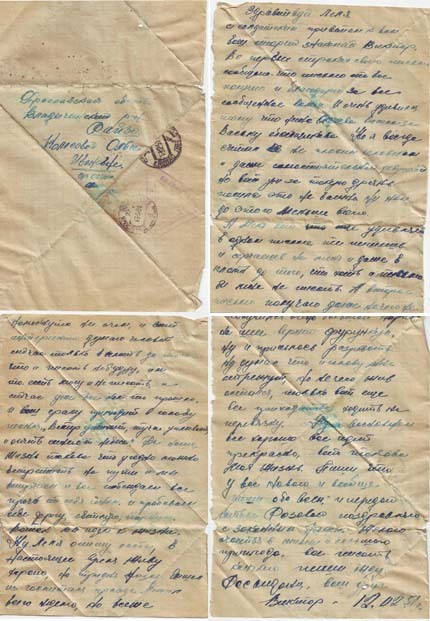 To such a letter it was enough a page torn from a booklet, a cigarette paper sacrificed, the wide margins of a newspaper and the idle half an hour spent in a temporary cover. 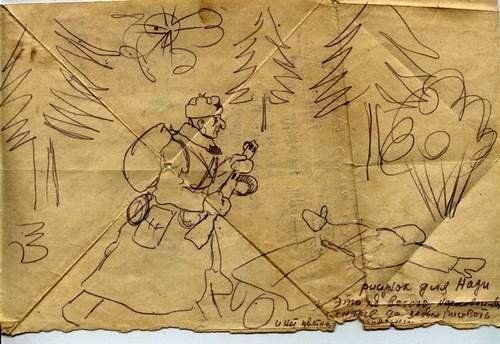 Their content is not more complicated than that: they assure of their love those at home, draw something for the little ones who cannot read yet, and promise to return home after the war. It did not depend on them. 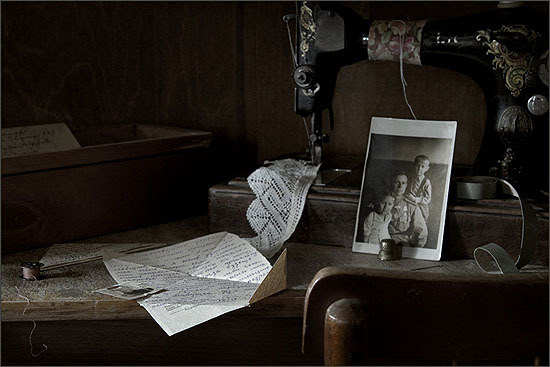 There were many letters, and their stream flowed in both directions, to the front and from the front. 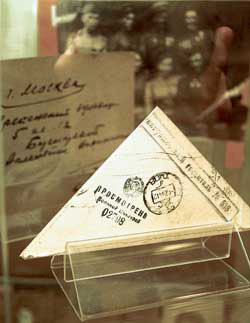 Beside the postal service, in a special “secret” room there was a censor: her task was to open and read the triangular letters. 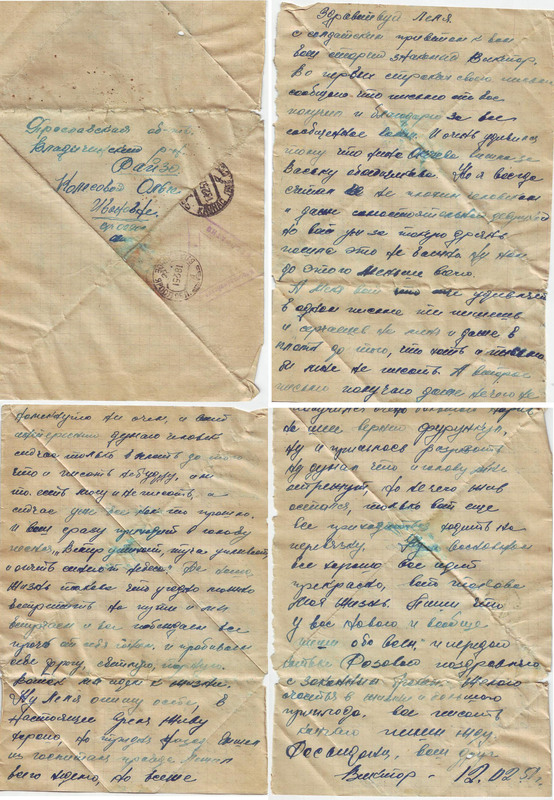 Valentina Antonovna recalls that censors usually had a humane attitude to front letters. 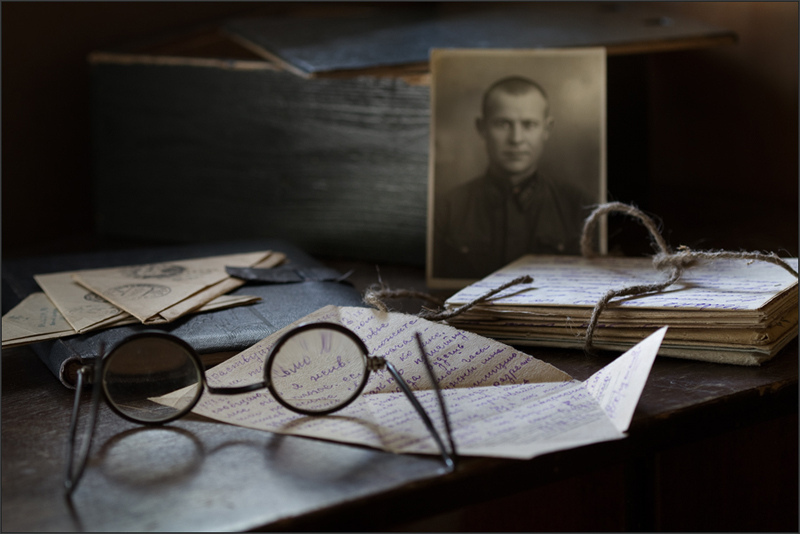 If only a few lines of them contained military secrets – such as the name of the base occupied or the name of the corps –, then they, having canceled it, let the letter go to the recipient. They only banned its forwarding if all its content was of such kind, but this happened very rarely. 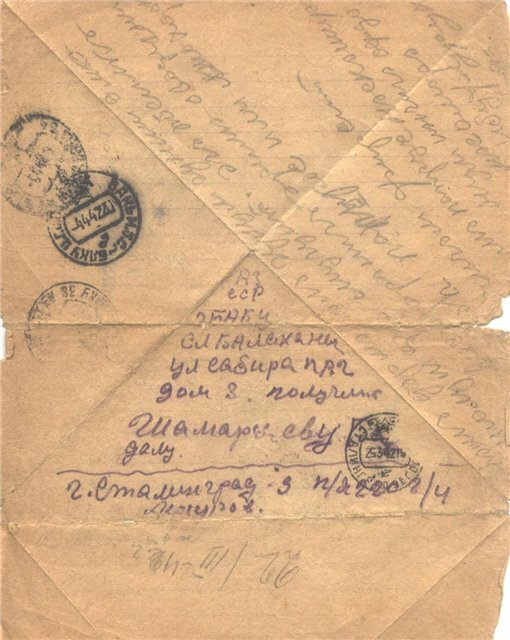 I was fascinated by a special collection, the letters of Yakov Lazirovich Ashurov from Azerbaijan. 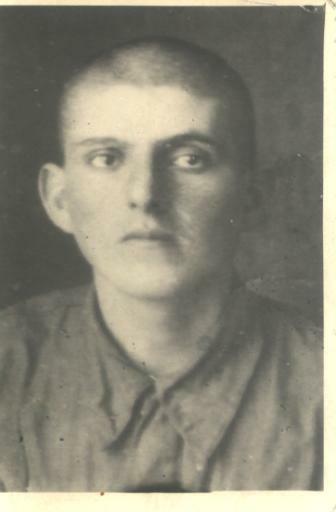 He was born in Baku in 1924, joined up at the age of seventeen, was killed at Stalingrad in 1942. 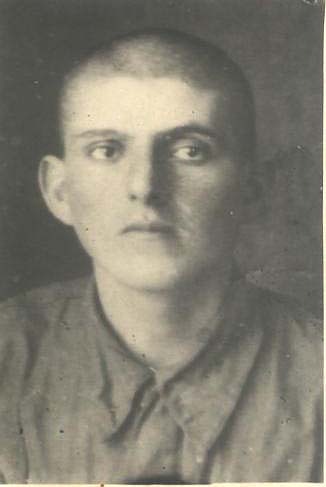 His letters to his parents survived in the Iranian Tat (Juhuri) language, related to Persian and Kurdish, of the Caucasian Mountain Jews (on which we will write more later), as well as in biblical Hebrew. Triangular letters were sent to the front as well, these ones bearing a stamp of course. 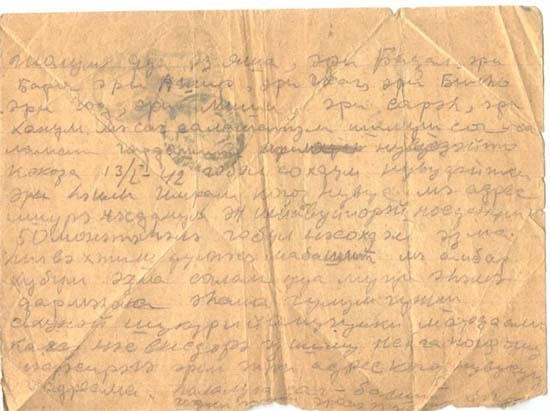 Moreover, even to the Gulag, as it is attested by the Latvian-language letter below, sent from Latvia to the Pechora camp in the Komi land on 19 March 1945. 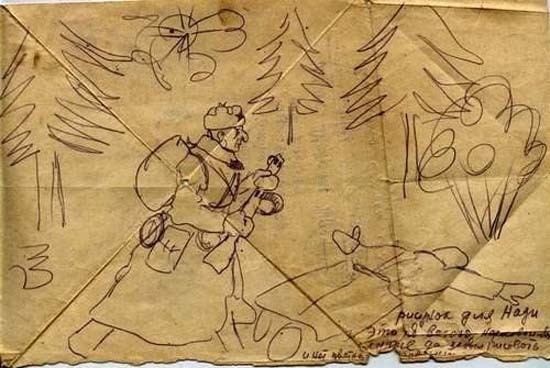 The letter is now at auction for only 33 dollars. 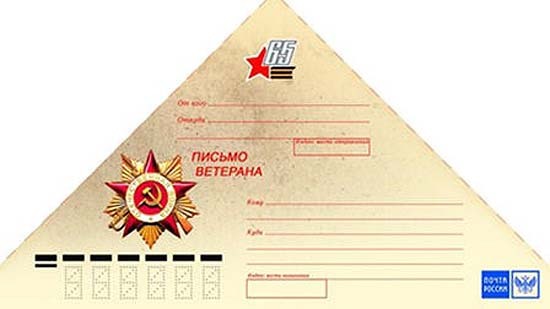 Buy it if you want to possess a real historical document. 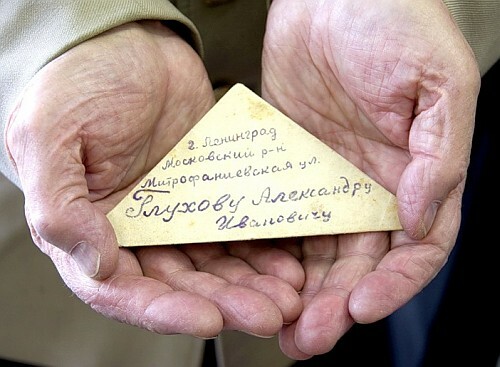 On 9 May 2010, the 65th anniversary of the victory, the Russian state distributed among the war veterans still alive a set of triangular letters printed for this occasion. 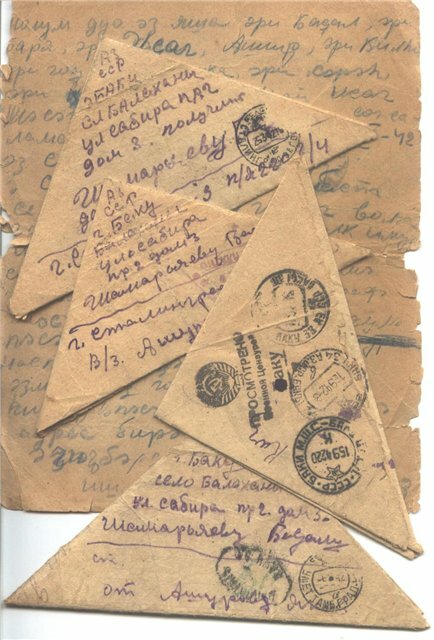 They were already in envelope, but they could still be sent without a stamp to anywhere within Russia. 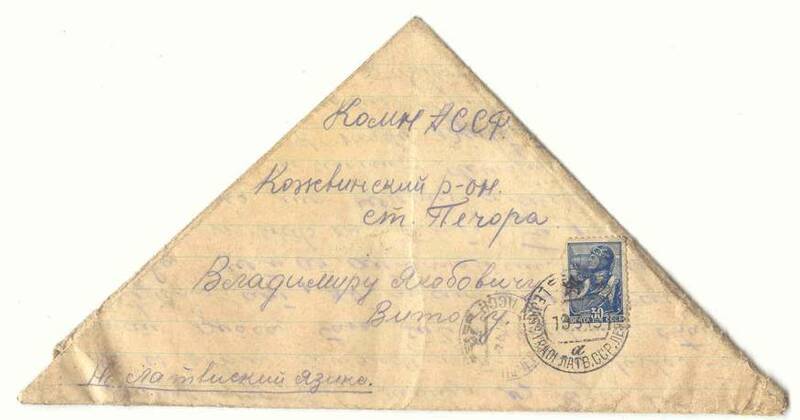 And finally these letters were immortalized by the contemporary famous soldier’s songs, such as Mark Bernes’ Полевая почта, “Field Post” below. We hope that Araz, the walking encyclopedia of the Soviet film will tell us which contemporary newsreels and later films were used to compose the genial video clip of the song. 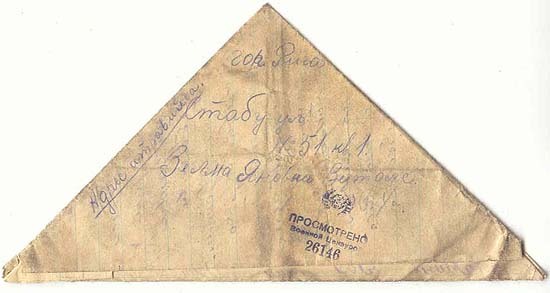 by the triangular letter from the front. Interesting post, Studiolum, thank you! For months now I am going to write about "letters"... I am afraid you overestimate me - the video contains seemingly only documentary frames. Because of the military censorship these will be probably some cinema-journals e.g. "Soyuzkinojurnal" or "Novosti dnya"
Great series. 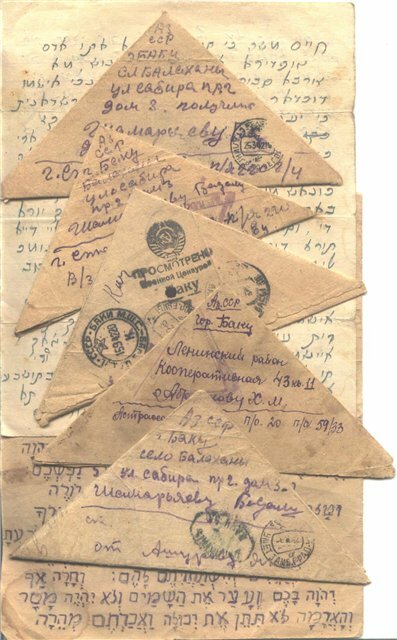 I am at loss how they translated the Tat / Hebrew lines for censorship BTW... And what might have been censorship-related in the other militaries, specifically with respect to the choice of language? Thank you, Elena, for reading and appreciating it! Thankyou for this fascinating and well compiled article Studiolum. I've been collecting stamps and postal history for many years and this is the first I've read about these beautiful triangular letters. Just now I discover that the Italian Il Post has composed an Italian version of this post. Thank you!